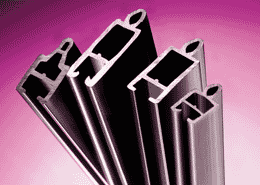 Rigid materials can be either single material types or extruded using a combination of rigid and flexible material types. 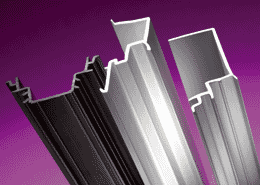 The Rigid Plastic profiles that we extrude are specific to our customer’s requirements. 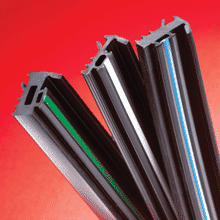 Rigid plastic extrusions are more commonly being used as a replacement for metal in automotive and construction applications. In addition rigid profiles are suitable for visible applications as they take embossing and textures very well. Plastic granules are fed into the hopper of the extruder and are drawn down into the screw. The barrel and screw are heated by external heating elements. As the plastic granules move along the screw they melt and are forced through a die which is located at the end of the barrel. 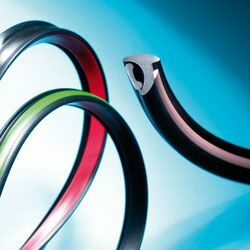 The die contains the cross section of the profile of the extrusion required. The profile is then water cooled through water baths before being cut to length and packaged. 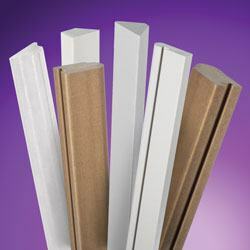 To enhance the profile post extrusion techniques can be carried out such as printing, embossing and adhesion application. The following are examples of the most common material types that we extrude. If you have a specific properties or material types that you require we are able to source material specific for your application. PEEK High temperature, high chemical resistance, high abrasion resistance, very tough, very hard polymer. PPS- Alloy High temperature, good electrical insulator, moisture resistant, excellent chemical resistance. 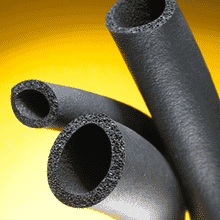 Nylon PA6 & 6.6 High temperature, low coefficient of friction, medium rigidity, excellent fuel resistance. Polycarbonate PC High temperature, high impact, easily coloured can be modified for UV, low chemical resistance, good stresscrack resistance. 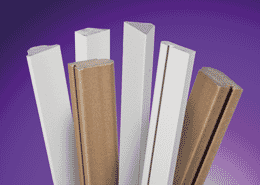 PVC-u Commodity material for general purpose, can be modified for impact strength, UV resistance and easily coloured. Polystyrene PS Commodity material, high rigidity and stiffness, low impact strength unless heavily modified or foamed. ABS Commodity material with higher temperature resistance than UPVC, Abrasion resistance is low, low temperature impact strength is low.